Our luxury Amritsar tour extension whisks you to the mesmerizing Golden Temple for, what we feel, is an unforgettable experience. A two-storey marble structure covered in pure gold and surrounded by a shimmering pool of sacred water, the Golden Temple is utterly captivating, though it’s what goes on inside that’s the most striking part: here, at the Golden Temple, huge kitchens manned by hundreds of volunteers prepare thousands of free meals a day – anyone is welcome to sit down and eat, together, no matter their status, earnings, caste or religion. Another highlight not to be missed is the nearby village of Wagah, on the Pakistan border – every evening, with great pomp and national pride, the border gates are clanged shut in an elaborate ceremony. Our luxury Amritsar tour extension suggests staying at the Taj Swarna. 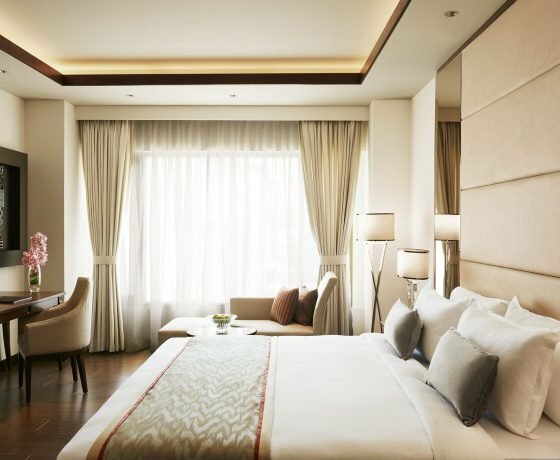 Having opened its doors in 2017, the Swarna offers all the comforts and facilities one would expect from a five-star property under the ubiquitous Taj name. 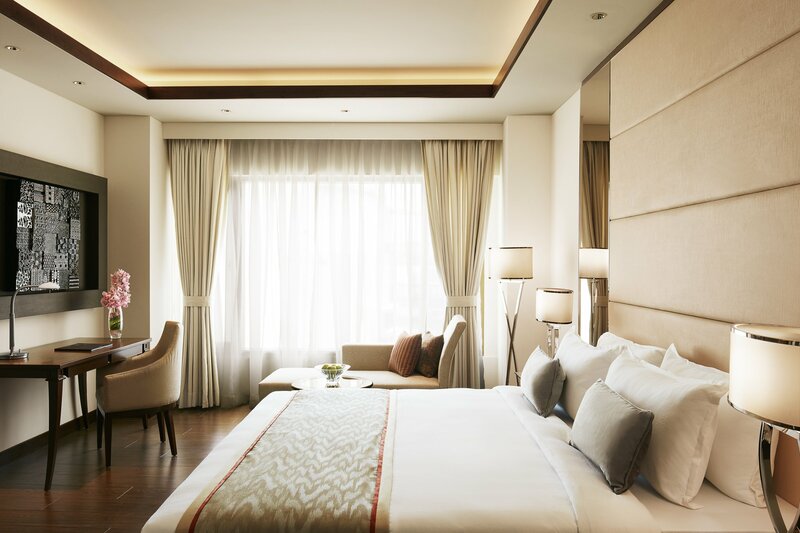 Conveniently located within easy reach of the airport and the Golden Temple, and with interiors inspired by local Amritsari culture and crafts, it’s an ideal base for exploring the sights. Your luxury Amritsar tour extension is best connected to the rest of your itinerary by direct flight, from Delhi or Mumbai. Upon landing in Amritsar, a member of our team would be waiting to welcome you in the arrivals area and accompany you to Taj Swarna (alternately, those who prefer intimate heritage properties would be happier at Ranjit’s Svaasa, whilst the Hyatt is another great luxury option in place of the Taj). There’ll be a few hours at which to rest and settle in, ahead of visiting the Golden Temple this evening for the Putting to Bed Ceremony. 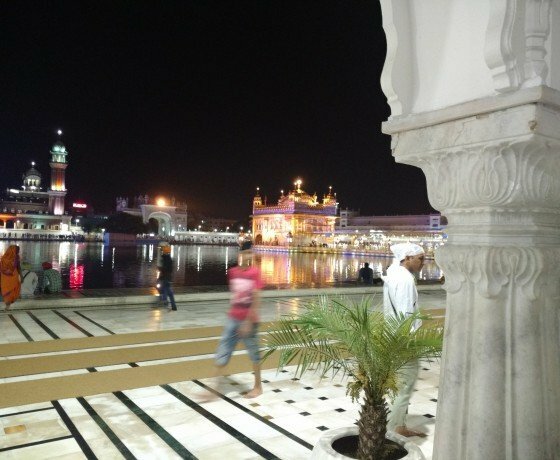 Not only will the sight of the Golden Temple sparkling at night blow you away, the unique and colourful ceremony itself is a sight not to be missed on a visit to Amritsar. The temple is home to the Adi Granth or Original Holy Book which is a collection of hymns of the great saints. 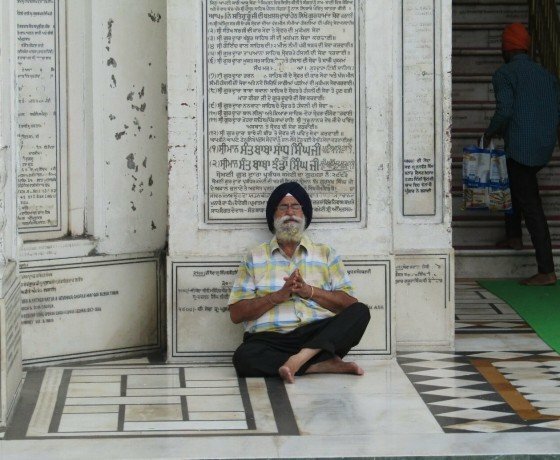 Every evening the Holy Scripture is ritually put to bed, as devotees take it from the Hari Mandhir Sahib (where it stays in the daytime) to the Akal Takhat. The ceremony takes places every evening at about 9:15 pm in the winter months and 10:15 pm in the summer. Today you’ll return to the temple with your guide for a more thorough exploration. The original Sikh temple in Amritsar was built here at the end of the 16th century, some years after a leper was cured having bathed in the pool. The temple was rebuilt in 1764 by Maharaja Ranjit Singh and 100kg of gold was added in 1830 giving rise to its name ‘The Golden Temple’. Showing you around the main area of the temple, your guide will explain its rich history and layout, including the huge dining area where visitors are invited to sit down and eat a free meal together. The most incredible part – as you’ll find out as your guide takes you behind the scenes – is the vast kitchens where all this food is freshly prepared by volunteers. You will see big cauldrons full of dhal (lentils) and groups of ladies rolling out chapatti (flatbread), meanwhile, the noise in the background is the endless washing of plates. Sweets are available too, as well as a never-ending supply of sugary chai (tea): all free for anyone who wants it. Outside of the kitchens, you’ll see people bathing in the water which is believed to be sacred and wash away all illness. You’ll also hear chants coming from the temple whilst worshippers walk round in a clockwise direction. A short walk away from the Golden Temple lies Jallianwala Bagh, the site of an infamous massacre that took place in 1919. Hundreds of unarmed demonstrators were gunned down in this enclosed garden on the orders of General Reginald Dyer, who arrived heading a platoon of infantry from Jalandhar. It was an event which helped hasten the end of British rule in India. A memorial to those killed stands at the east end. Later, you’ll head out to Wagah – the last check post on the Indian border with Pakistan. Each evening, as buglers sound the last post, two splendidly uniformed guards on either side of the border goose step across to the flagpoles to lower their respective national flags. Their steps are matched so perfectly that it is like watching a mirror image of the same exercise. The ceremony, which attracts crowds of spectators on both sides, is a poignant reminder of the Partition of 1947 when Punjab was divided between two nations. Today you’ll be chauffeured back to the airport in time for your onward flight. 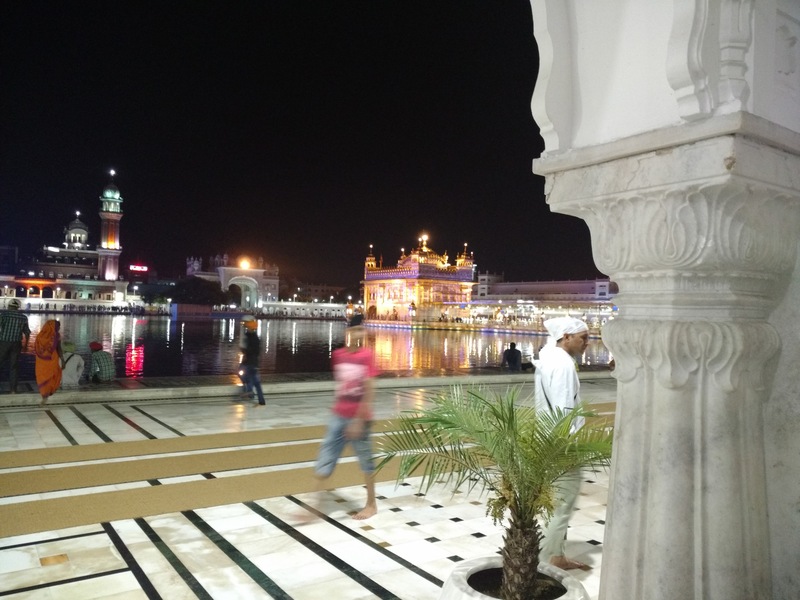 For most of our guests, this is generally a flight back to Delhi where they would either depart internationally (if the luxury Amritsar tour extension is placed at the end of the stay) or start sightseeing in the capital (if it’s placed at the start). Alternately, Qatar Airways offers international connections from Amritsar through to a number of destinations, including London, New York and Los Angeles. Our journeys are inclusive of accommodation with breakfast, a private car with driver throughout, experienced guides, entrance tickets and excursions. 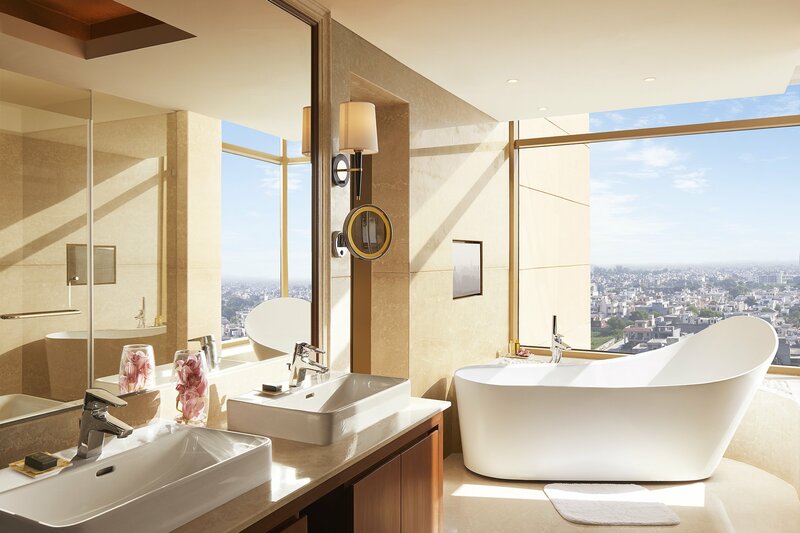 In other words, we offer a seamless and hassle-free experience where the only thing you need to worry about is soaking up the spectacular views and enjoying your fabulous hotels! 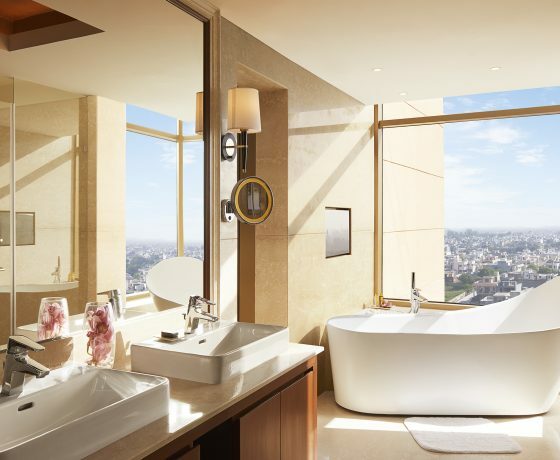 This indicative cost is based on a couple travelling between October 2018 and March 2019, sharing a double or twin room. The cost would reduce significantly during the low-season months of April to September, whilst it would be noticeably higher during the peak Christmas and New Year period. Internal flights to get you to and from Amritsar would be at additional cost and arranged to best suit your wider itinerary. 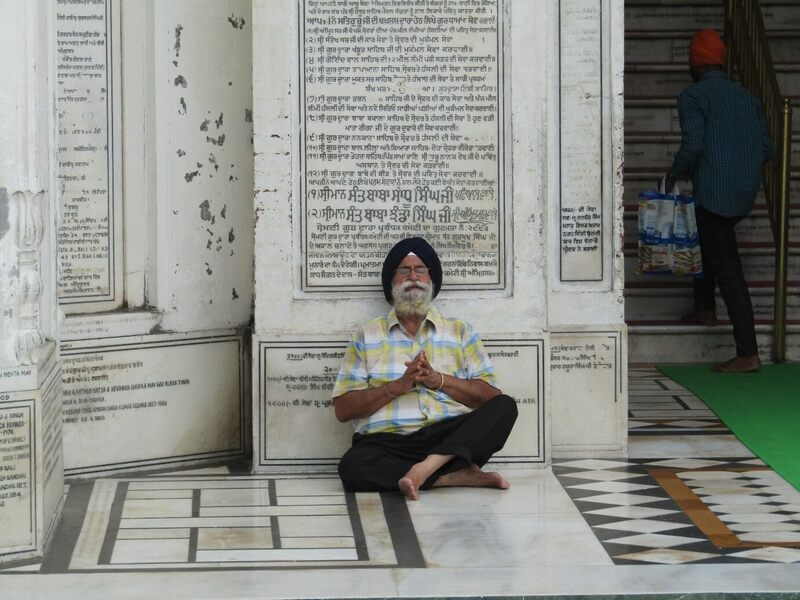 The luxury Amritsar tour we’ve described here is merely a starting point to share a flavour of the possibilities, and absolutely every aspect is flexible (from the hotel to the length to the sightseeing). Amritsar and the Golden Temple can easily be added to the majority of our sample itineraries, including this luxury Rajasthan tour and this luxury Golden Triangle tour. Please do get in touch where we can get an understanding of your ideas and interests and develop a tailor-made itinerary to best suit your tastes. Let us know what you’d like to create and we can make it happen!